﻿ Sunny Apartment Of Grand Continental, Guangzhou | FROM $30 - SAVE ON AGODA! Have a question for Sunny Apartment Of Grand Continental? "Super love the location, 2 mins walk to the metro." "Hotel building is also easy to spot, receptionist well versed in english and friendly as well." "The place was decent and very near to the famous Beijing Road." "Amazing location and reasonable price." 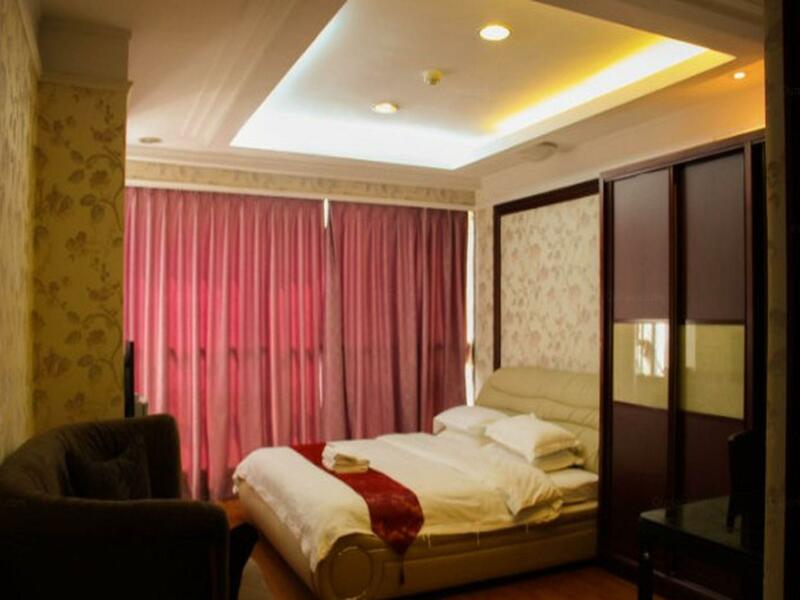 Situated in Yuexiu District -Beijing road / Haizhu Square, Sunny Apartment Of Grand Continental is the perfect place to experience Guangzhou and its surroundings. From here, guests can enjoy easy access to all that the lively city has to offer. With its convenient location, the hotel offers easy access to the city's must-see destinations. Sunny Apartment Of Grand Continental offers impeccable service and all the essential amenities to invigorate travelers. While lodging at this wonderful property, guests can enjoy 24-hour room service, free Wi-Fi in all rooms, 24-hour security, daily housekeeping, 24-hour front desk. Guests can choose from 116 rooms, all of which exude an atmosphere of total peace and harmony. Besides, the hotel's host of recreational offerings ensures you have plenty to do during your stay. With an ideal location and facilities to match, Sunny Apartment Of Grand Continental hits the spot in many ways. "Good location, near Metro and Beijing Road"
Super love the location, 2 mins walk to the metro. However, room was a little rundown, walls were peeling and toilet seat had some default. BUT, that wasn't an issue for me so i was fine with it. Hotel building is also easy to spot, receptionist well versed in english and friendly as well. This hotel is located just next to Guangzhou Beijing Road walking street. Across the street is the subway station. 5 min to TianZi Harbour - night river tour. The facilities of the room may need to upgrade. The bed is very hard. Good value. Cleanliness needs to be better -- towels and bedsheets need upgrading! Room and bathroom was not properly cleaned. Cleaners left obvious shoemarks on bathroom floor. Quilt cover has many holes. While the room is not clean, the hallway is a disaster. Wallpapers torn everywhere, rubbish everywhere-- this is because the building also houses many different apartment companies hence no one maintains the common areas. The location is near to metro/subway, but the room capacity is just for 6 persons. There is additional charge (service charge) which is not displayed when do booking. the staf was friendly, room is big and spacious, but we found baby cockroaches in our room. Good location very close to subwy. Overall we were happy with our room and would stay again. It was a very big room with 2 double beds (we booked a twin), 2 minute walk from Beijing Lei metro station and very close to Beijing Lu shopping area too, which could be seen from our windows. The room had a kettle and fridge which we were happy with and a good hot shower, but the room in general could have been a bit cleaner. Our only problem was that our toilet flush was broken and would only work if used in a certain way. We would stay again as the location was perfect for us, it was easy to check in and the room was fine for us. Amazing location and reasonable price. Despite the old and dark hallway, everything is fine. Lifts are very fast and the room is in a very good condition. Cleaning service can still be improved ,but overall its a good place to stay and worth the money. We spent 5 nights in july 2017. We just so worried when we read review of any hotels/apartments in guangzhou, especially about cleanliness. My first impressions of this apartment was very bad, because the corridor was very bad and little smelly,but when we get into the room, surprisingly the room was clean and very comfortable, the staff is very nice and helpful. I would recommended this apartment to stay went you travelling to guangzhou. It was a good stay and very near to beijing road the most famous area tourists should visit. Some of the shops were open up until late night. The hotel was just ok nothing much to aspect because it offers very reasonable price amongs other hotels.